After numerous rumors and intense speculation, Microsoft’s fantastic and extremely popular Office package has managed to find its way onto the iPhone. The package, which landed on Apple’s App Store today, is a mobile optimized companion app that has been built from the ground up to provide access to the loved Office suite of applications directly from an iPhone. This is a fairly notable release by the Redmond company and has been expected for some time, but for some reason has managed to come with minimal fuss and a distinct lack of celebration. The gratis price-tag associated with the Office Mobile application may get a lot of iPhone users initially excited, but nothing everything is as it seems. The app is indeed free to download, but requires an active Office 365 subscription to be able to use the functionality and features that are built into the mobile optimized product. For those that would consider such a subscription to be able to get those enhanced levels of mobile productivity, the Office 365 package is currently retailing at $99.99 annually. The inclusion of this latest Microsoft release should be enough in some cases to entice a new wave of subscriptions. As for the product itself, well it offers pretty much everything that you would expect from a mobile Office companion application. 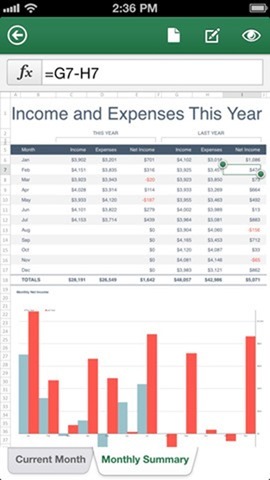 Microsoft Word, Excel and PowerPoint documents can be created, viewed and edited with minimal fuss and the powerful features within the app ensures that documents are displayed in their original format regardless of how they were created. The built-n support for charts, animations and various shapes means that the integrity of the document should be maintained regardless of whether it is accessed from a desktop app or this mobile variant. 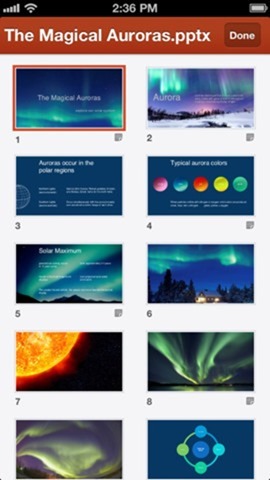 Cloud based documents are easily accessible through the Office for iPhone offering, meaning that any compatible creation stored in SkyDrive or SkyDrive Pro are within reach. The support for complex documents, the aesthetics of the app and the impressive feature set clearly show that Microsoft have gone all out on this one and are dedicated to increasing their Office 365 subscription based by offering this free app as a deal sweetener. There’s no denying that the app looks like a very polished release, but we should all know by now that there is usually a downside attached to these things. Aside from the fact that the product requires the Office 365 subscription, it is also only available for US based users at the moment. Hopefully by the time it filters through to other countries there will also be an iPad variant available. So what do you guys think? Is this subscription based Office release for iPhone enough for people to pay for the most popular Office productivity suite on iOS? Or do you think alternatives such as Apple’s own iWork and Quickoffice are more than enough for all the documents and presentation needs? Share your thoughts with us in the comments section below. 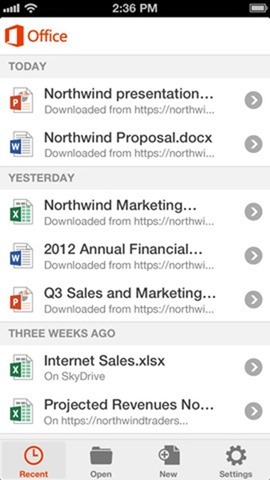 (Source: Office Mobile for Office 365 for iPhone and iPod touch on the App Store). 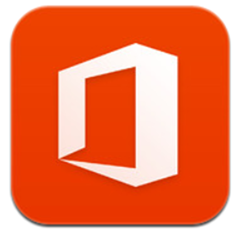 Update: Office Mobile for Office 365 is now available in the UK.